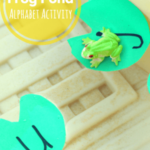 This water the flowers alphabet activity is a great way to learn letters this spring and summer. 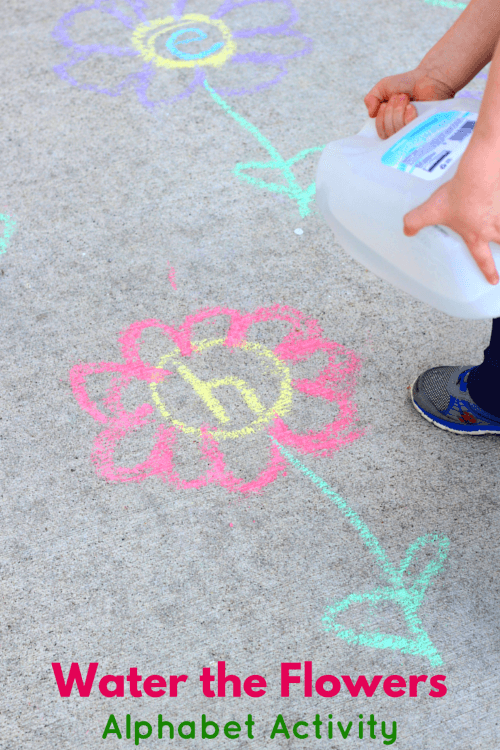 Kids will have a blast watering sidewalk chalk flowers! 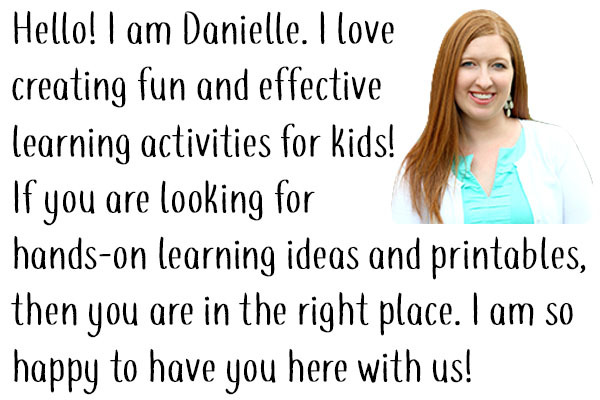 It’s almost always a hit when you combine water and learning. 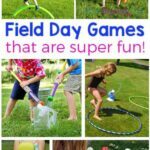 This activity was no exception. 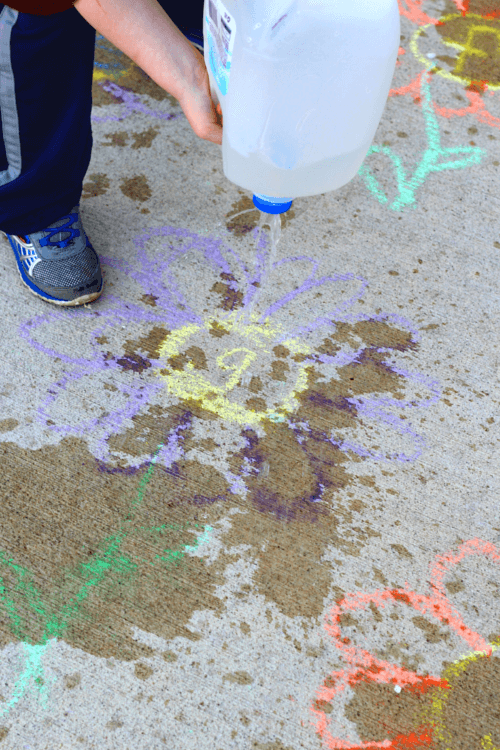 Evan had a great time using our homemade watering can to sprinkle the sidewalk chalk flowers with water. I love that it was super simple to set up. It will be easy to do with him again and again this spring and summer. Each time we can use different letters. We may even try it with sight words soon. 1. 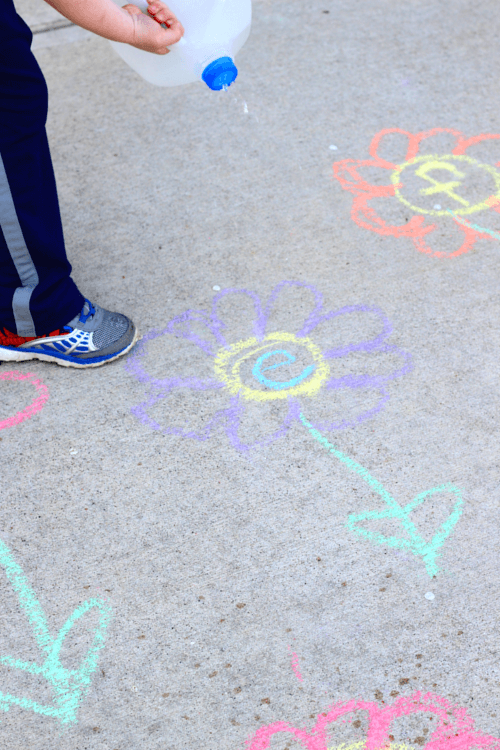 Draw flowers on your play surface. 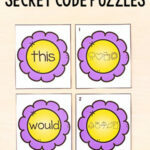 Write a letter in the center of each flower. Make them fairly big so the letter written on it is easily visible. 2. If you don’t have a watering can, you can make one with a milk jug. I just poked holes in the lid with a pair of scissors. Make sure you don’t fill it with too much water or it may be difficult to lift and pour. 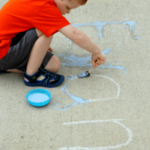 At first I called out a letter and Evan sprinkled water on it. Then I began calling out sounds and Evan identified the letter that made that sound and then sprinkled water on that flower. You could also call out a word and have your child identify the beginning sound of that word and sprinkle water on the corresponding flower. 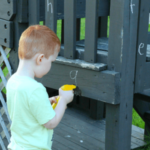 It was a great way to enjoy the beautiful weather we’ve been having, while moving and learning letters. Evan really enjoyed it! 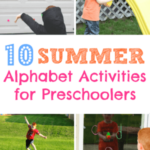 Here are some related alphabet activities I think your kids will enjoy!